5 Healthy Oven-Bake Mouthwatering Desserts To Try On! What does a citrus-y lemon tart, chocolate mousse, and granola bars have in common? Their mouthwatering taste and a whole lot of happiness they bring! Desserts can make anyone happy! 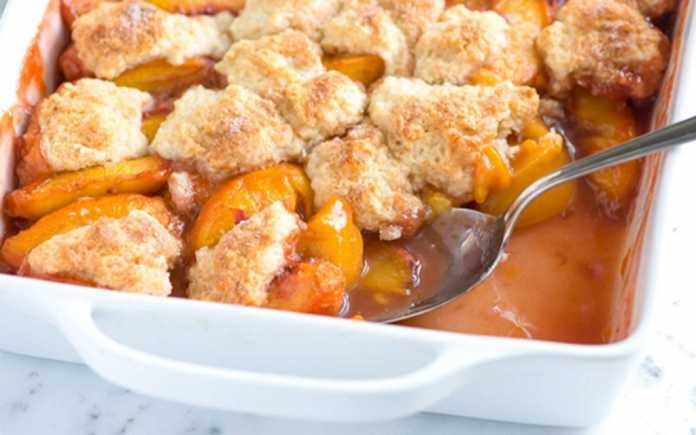 If you want to warm up your home with the delicious scent of desserts, but don’t want to do much labor in the kitchen, here are some oven-based recipes you can try. A sticky and sweet bread makes a perfect food for the brunch. Get all the ingredients and savor this tasty dish. Mix cinnamon and sugar in a bowl. Now, bring out the bread roll and cut each roll in the butter and sugar mixture. Sprinkle some pecans on a greased tube pan and cover it to chill for 8-10 hours. Now, preheat oven to 3250F. Mix whipped cream and the sugar-cinnamon mixture in another bowl to make a soft and smooth mixture. Pour all the mixture on the dough and aluminum foil the sheet. Bake it at 3230F in the oven until they turn golden brown. Let the dish cool and then pour it to the serving tray. Also, if you don’t have any oven, purchase the one by reading Tovala Review. Use pear and it’s flavors delightfully with this oats and peer blond dessert. Mix dry ingredients like flour, oats, brown sugar and salt in a bowl and add melted butter. Mix the ingredients to make moist crumbs and keep the mixture in the fridge. Now, preheat oven to 360oF and coat the baking dish with butter or spray. Stir the butter in a pan on medium heat until melts and golden brown bits are formed at the bottom. Let this golden butter cool; now whisk flour, oats, baking powder, cinnamon and salt in a bowl. Take another bowl and mix brown sugar, eggs and vanilla extract until the mixture becomes smooth. Add, brown butter in the sugar mixture by whisking constantly. Cut pears from dry ingredients and then from the brown sugar mixture and scatter them on a pan. Bake them until they look golden brown and let them cool. Dust the dish with powdered sugar and serve it! Grab some fresh fruits and make a healthy and delicious recipe. Preheat the oven to 3500F and put the batter in the tray. Now put it in the oven and let it melt. Whisk flour, baking powder, salt and sugar in one bowl. Add milk into the mixture and whisk to make a smooth batter. Now pour the mixture into a pan and scatter fruit all over. Bake it until the batter become brown and the fruit bubbles. Serve with a whipped cream topping or using vanilla ice cream. Get the traditional Jewish bread or any other sandwich bread to make a delicious pudding. Preheat oven to 350 degrees. Now whisk eggs, vanilla, salt and sugar using milk. Add banana, raisins, bread into that and toss gently. Keep the mixture aside and let the bread absorb the liquid. Transfer the mixture in a baking dish and sprinkle powdered sugar on it. Bake the dish for about 50-60 minutes (keep checking until the toothpick inserted in the center of the dish comes out clean). Let it cool and then serve. Who will say no to the piping hot, melted chocolate chip cookies! Preheat the oven to 325oF. Now, put butter and unsweetened chocolate in a bowl and heat it on low flames. Stir the mixture until smooth and let it cool. Now take another bowl and mix brown sugar, powdered sugar, vanilla extract, eggs and start mixing. Add cocoa powder, cinnamon, chili, baking soda, salt, flour and mix them. Combine mix ingredients and dry ingredients and combine them. Put some chocolate chips and bake it for 10-15 minutes. Cut them in pieces or use a cookie cutter. So, these were some delicious and tempting desserts to try on. Meanwhile, get busy in snuggling on the couch and let your oven do the rest!